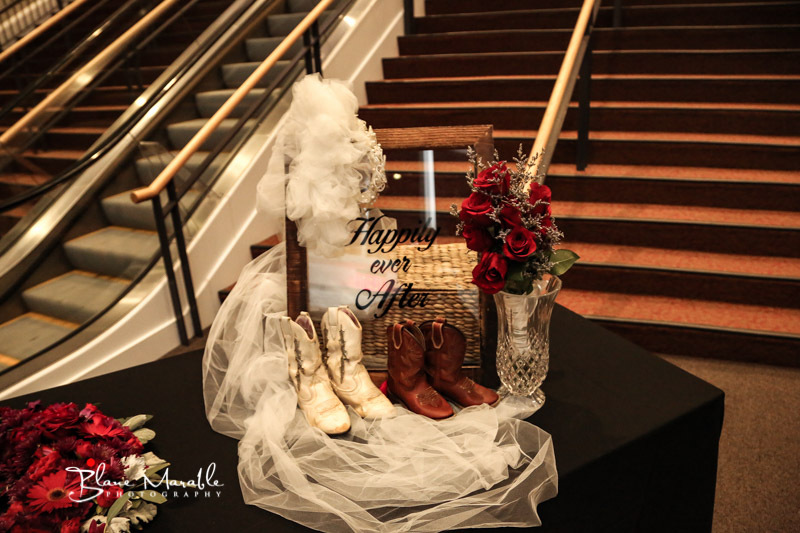 Photos by Blane Marable Photography. Sara grew up in Social Circle, GA and attended the University of Georgia and graduated with a degree in Communications. She loves everything that has to do with the outdoors including fishing, hunting, walking the dogs, going to the lake, but especially riding horses. She was on the 2015 National Champion Equestrian Team at the University of Georgia and owns her own horse today. She has a love for all animals and in addition to her horse, she has 3 dogs and 2 cats. She now works as an independent Advocare distributor. Jay grew up in Tifton, Georgia and also attended the University of Georgia where he graduated with a degree in landscape architecture. He went to Arizona to design golf courses but then decided that his true calling was law. He went to the Charleston School of Law and graduated in 2011. He now works as the Assistant District Attorney in Aiken, South Carolina. He also loves everything that involves the outdoors like fishing, hunting and baseball. While both at a Randy Rogers concert at the Georgia Theater in Athens, GA, their eyes locked from across the room and spent the rest of the night dancing and singing the night away. That was in February of 2014. Jay and Sara are best friends and have shared so many experiences together since they’ve been together, including Sara shooting her first buck. They both attended the University of Georgia. They got engaged October, 9, 2015, and set their wedding date that night. 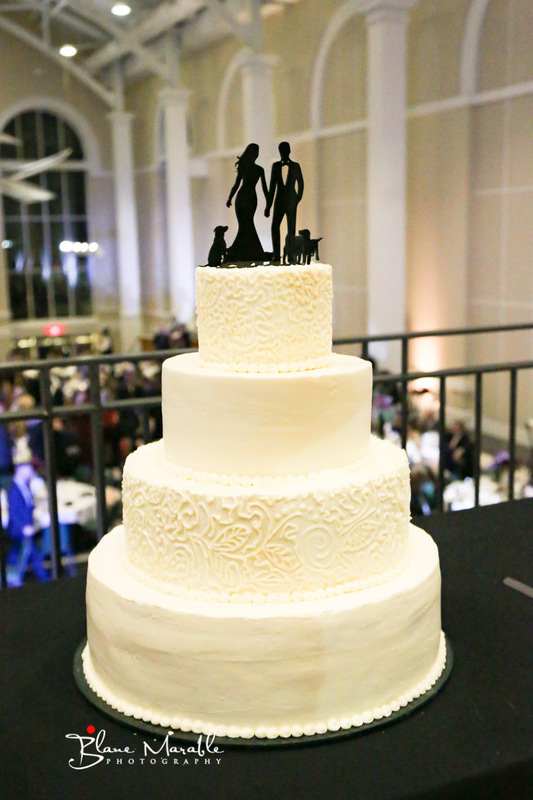 They were married 1-23 at 4pm, so their anniversary is an easy one to remember! 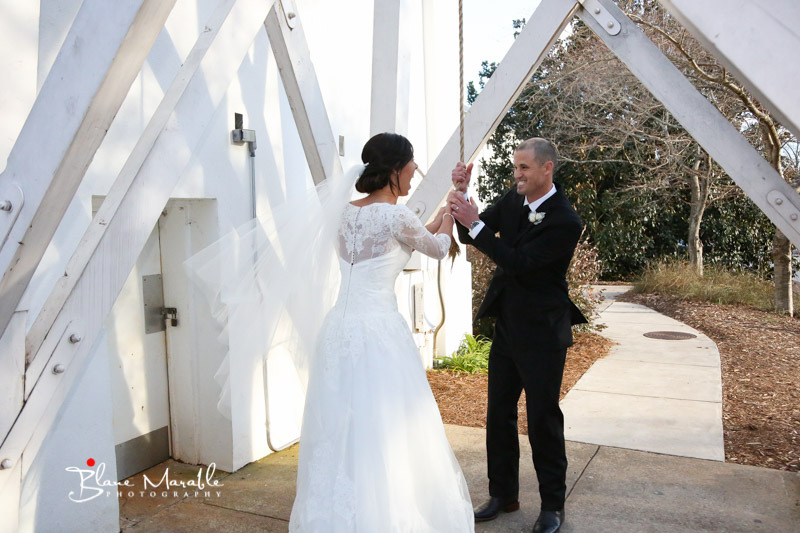 Jay and Sara got married at the UGA chapel and then held their reception at the Classic Center. 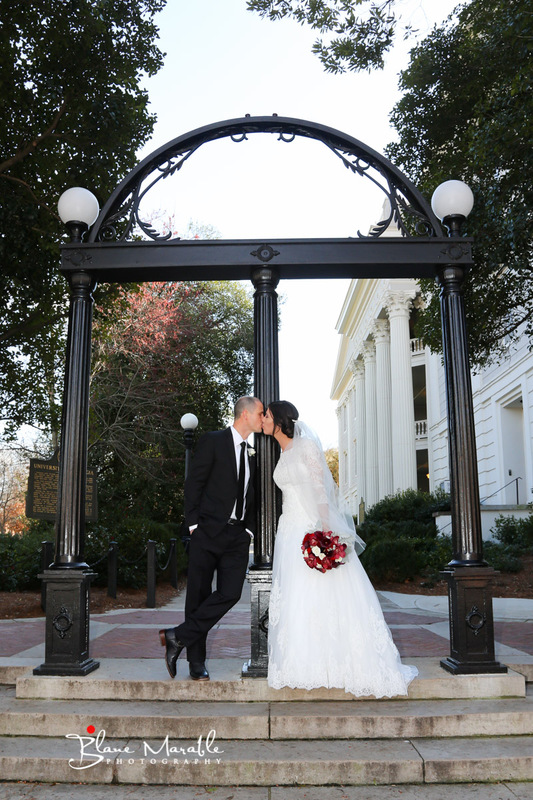 Athens was perfect location for their wedding since it was the city where they both attended college and met. They wanted a traditional wedding but with their own unique twists in the ceremony. 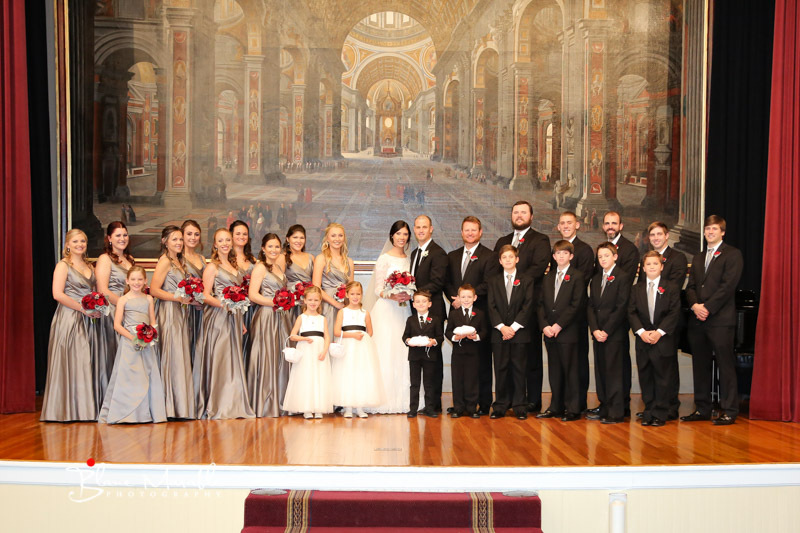 They had 10 bridesmaids, 10 groomsmen, 2 flower girls, and 2 ring bearers. 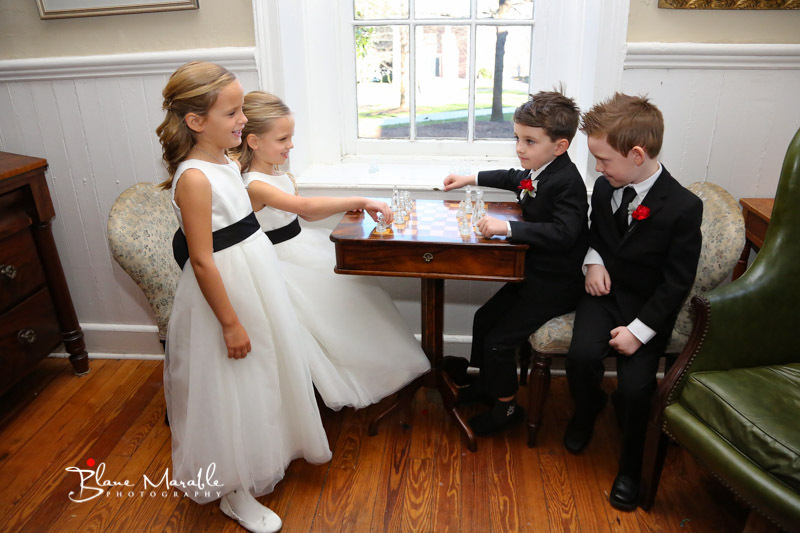 The minister has known the bride since she was 2 so he was able to put some very personal touches on the ceremony and they told their own sweet stories during the ceremony. 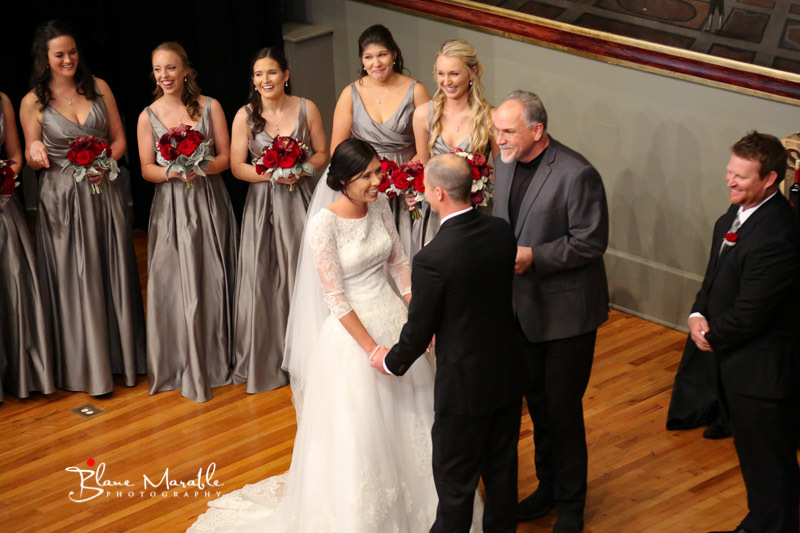 Their ceremony included a live pianist, Tami, Stroup, that added a romantic, elegant touch to the ceremony. 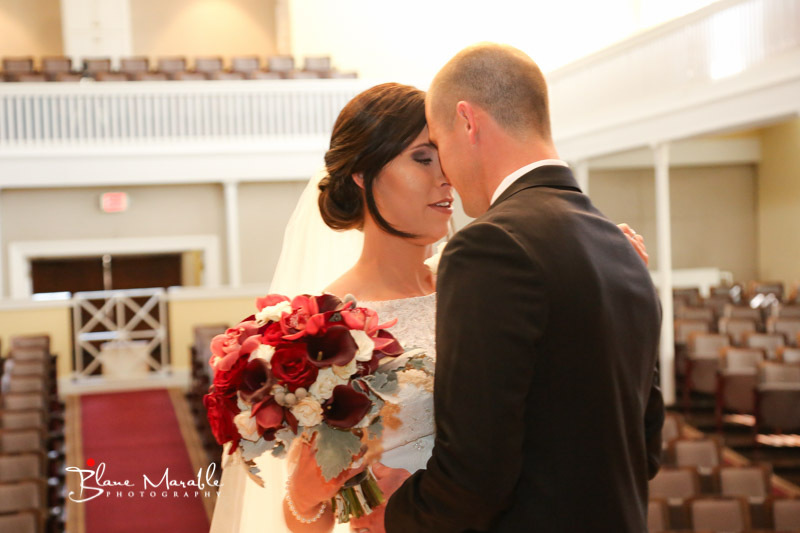 Nate Deaton out of Monroe, GA planned and designed their dream wedding and gave them exactly what they were looking for! Sara found her dress and all of her bridal party and flower girls’ dresses at David’s Bridal in Athens, GA and highly recommends it for anyone looking for dresses for their upcoming wedding! 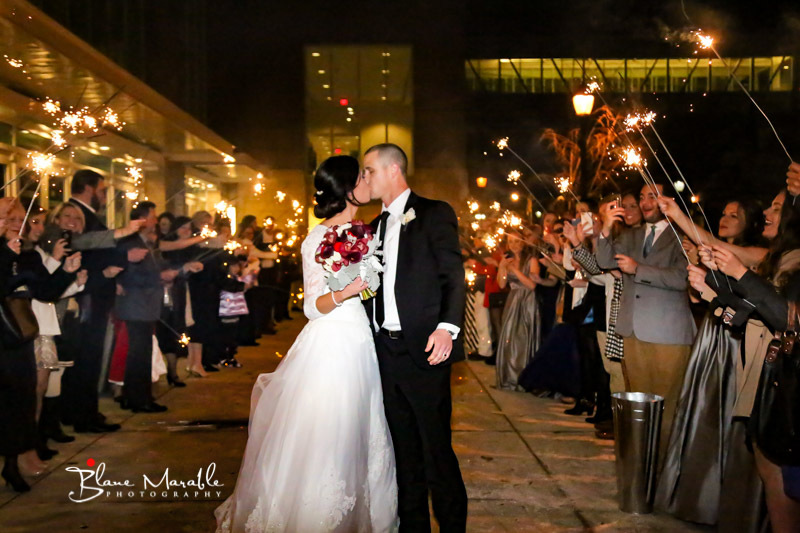 Overall, their wedding was timeless and elegant, while being unique and personalized. With a short engagement of 3 months, Sara says it really helped having to make a decision and not having the time to change her mind so many times! She was able to focus and not sweat the small stuff. “Don’t stress about the little things, it really isn’t worth it. The point of a wedding is to marry the love of your life, so don’t get stressed if everything isn’t completely perfect!” She also recommends that you include the wedding party and fiance in the planning and preparations to make everything more fun for everyone. They also had an “unplugged wedding”. They asked their guests to keep their phones put away so their attention was solely on the ceremony and all of the pictures didn’t have people on their phones. Lastly, the mother of the bride created a facebook page for the wedding and the bride said that it was a great forum for guests to post stories, pictures, and their own words of wisdom.